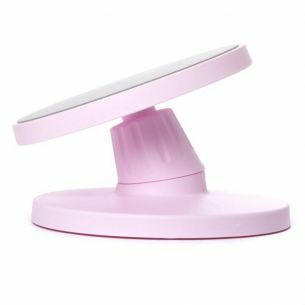 This cake stand sits fairly close to the table, and you can spin it round so it's easier to cut the cake. Great for parties and other gatherings. This beautiful white cake stand is an excellent centrepiece for your table, with it's wonderfully detailed embroidery-style metalwork draping down the sides. 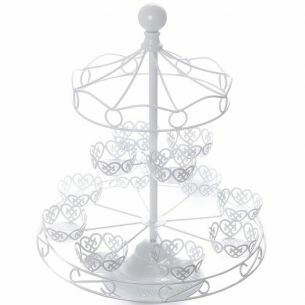 This wonderful black spider web cupcake rack gives an excellent contrast against light backgrounds. 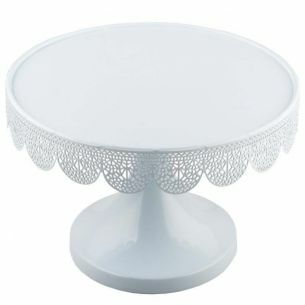 The tilting cake stand is perfect for showcasing your baking delights. Simply twist the base to adjust the angle of tilt.